fully barn. kitchen, dishwasher, washing machine, microwave with all the basic groceries (oil, vinegar, salt ...). Upstairs bedroom with 160 bed and a shower room. Everything is designed for a pleasant stay and not worry linens. A parking space is allotted. Bikes are available to your child and adult. We know the area well and will guide you in your outputs. (5km Chenonceau, Beauval 20km, the edges of the cheap and history that you can discover from our books has been available. In waiting to welcome you. We are so happy we chose Chissay-en-Touraine for our visit to the Loire Valley. It feels wonderfully away from tourists and local traffic, yet its central location is close to the best-to-see chateaus. We absolutely loved our hosts generous offer to use their very fine bikes and we were out and riding 3 different circuits of up to 19 miles through the countryside on dedicated roads and paths. The hosts, their daughter, and very playful dog gave us information, privacy and everything we needed to make our stay one of the best we’ve ever had. A great location for touring all the Loire has to offer. Comfortable, with all the amenities. My teenage boys loved the ping pong table! No AC but a fan was provided which kept it very comfortable in the hot summer. Geraldine and her family are kind, friendly and knowledgeable about the area. Their dog is adorable. We would definitely return to stay! Thank you. The place was beautifully decorated with all new appliances, including a dishwasher and washing machine. 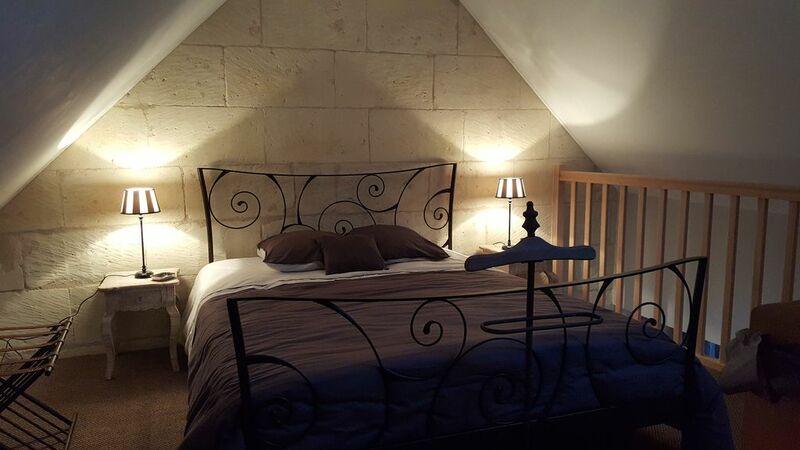 The bed was comfortable and we were able to get a good night's rest in a quiet countryside setting at the edge of the village of Chissay-en-Touraine, only a short distance from Chenonceau Chateau. The owners are a wonderful, friendly couple, available next door if needed. Gîte accueillant, confortable et conforme à l'annonce. Très bien situé et au calme. Tres bon sejour avec le soleil en plus. A refaire. Très bel.propriété très cosy et chaleureux. Nous avons pu profiter de notre séjour dans cette belle région. Gite bien placé et super pour un couple. Proprios très sympas. Convivialité et accueil au RDV.